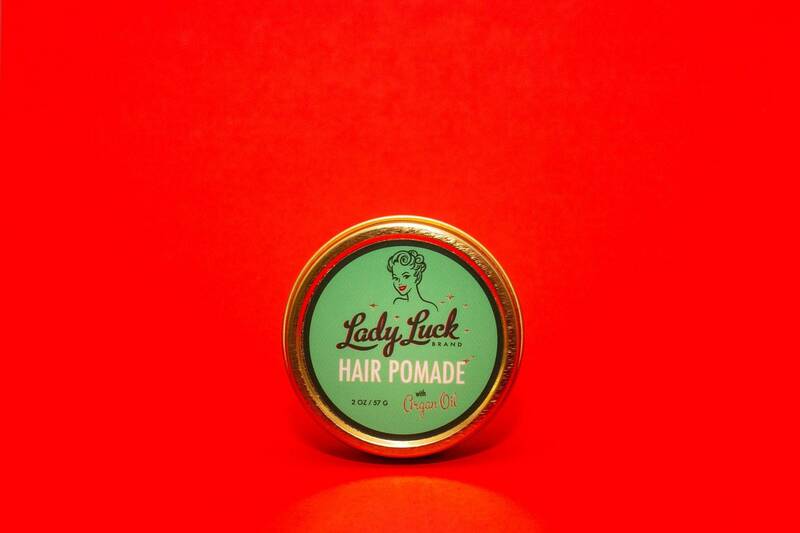 Lady Luck Brand Holiday Hair Pomade - our classic formula with a festive, sweet & spicy scent - almond & ginger with hints of cinnamon & clove. Creates beautiful definition of layers & curls, smooths flyaways & split ends, adds texture, and provides hold for victory rolls, barrel rolls, lady pomps, & other classic updos! Made with Moroccan Argan Oil - rich in Vitamin E, softens & smoothes with increased manageability. Follow @ladyluckbrand on Instagram! Share your look with us using #ladyluckbrand and tag us!